During a two-hour period of the BC Bike Race last year, I repaired seven chains, making two bikes single-speeds, fixed a broken shifter and a shoe, and evacuated a pneumothorax. I was working for the race as an Ambassador/Bike Patrol so needless to say I put a lot of emphasis on the tools I carried with me. In fact I have always put a lot of emphasis on the tools I carry. 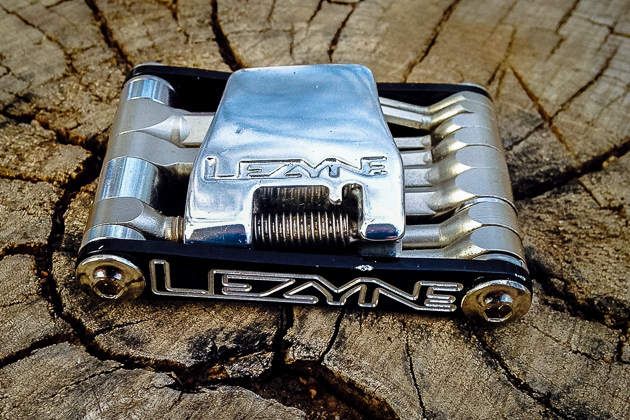 For example, I've always carried a full size shop quality chain tool, however, the Lezyne V11 has me possibly rethinking that decision. The V11 is the most feature packed of the V-series, yet is still compact enough to carry in a pocket. 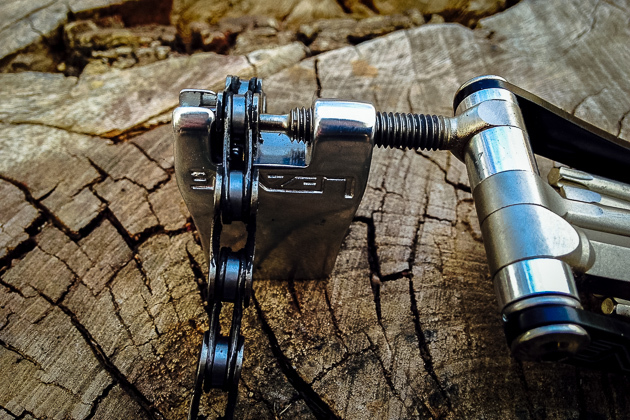 The Lezyne V Tool, specifically the V11–there's a V5, V7 and V10, as well–is a simple low profile multi tool. I like simplicity in tools. It has CNC-machined aluminum side plates and chain tool while the rest of the bits are chrome vanadium. All of the important tools are there and nothing superfluous or useless. I've decided I don't need a bottle opener on everything I own and prefer to carry regular spoke wrenches so the exclusion of these two suits me fine. It has one of the best chain tools I've used on a multi-tool, and like I said earlier, it has me considering leaving the full size one at home. The V Tool has just one screwdriver bit which is a Flat-Head. Given the choice of just one I would prefer a Phillips, not a big deal really, rather a matter of personal preference (the V10 does have a Phillips, but no 2.5 hex). Speaking of personal preference, I would love to see a multi tool with a pick, I think the poor little pick gets overlooked by just about all the manufacturers out there, yet would be so useful. 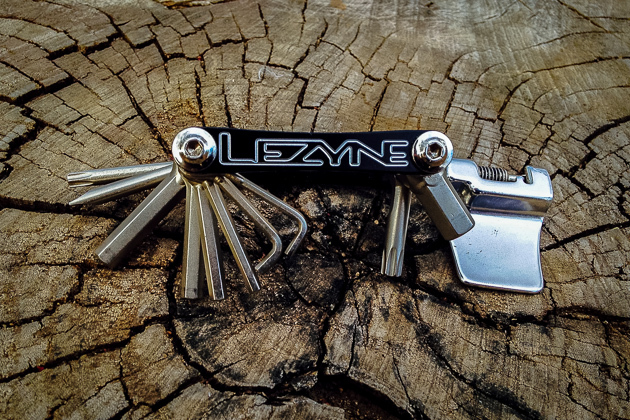 Lezyne has a reputation for making tough multi tools. The chain tool on the V11 is no exception. The V Tool has most of what I need and none of that extra junk that can clutter it up and leave you spending more time looking for the right tool than actually fixing anything. Also, I love the fact that is does not have any detachable pieces as those have a way of disappearing. Considering it's well made and inexpensive, you can't go wrong.